This time around I used 22ga wire (top pix) and I found that I prefer this one rather than the 24ga wire used on the earlier bracelets. I am quite please with the clasp too (bottom left pix). 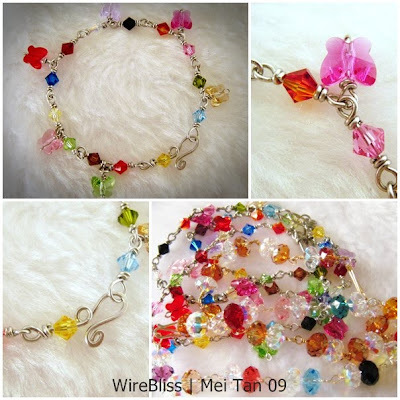 Lovely bracelets Mei...I acutally use 20ga. I find the other gauges too soft...hence the sore fingers!